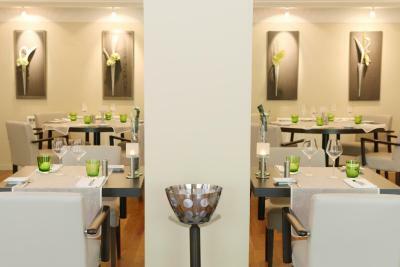 Lock in a great price for Hôtel de la Muse et du Rozier – rated 8.9 by recent guests! The breakfast was good. The restaurant was great. 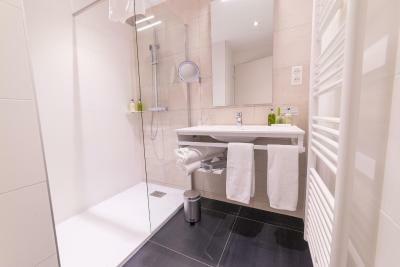 The room size and bathing facilities were exceptional. The location is awesome, right down on the Tarn river. A good value and fine facility. 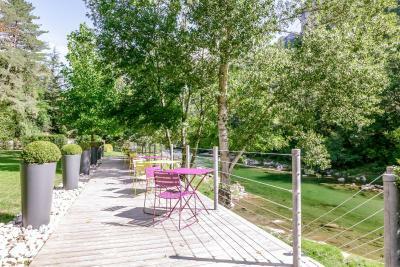 This is a beautiful hotel situated right on the river with awesome views of the canyons, just a couple minutes walk to the center of town. The room was spacious and very comfortable and the breakfast was fabulous. Definitely a winner! Very upscale Hotel along the river in the beautiful Gorge area. 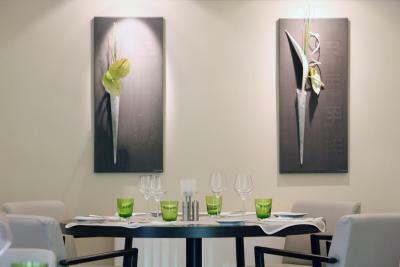 Restaurant was fine dining; staff attentive and helpful; surroundings on the river were gorgeous. It was perfekt! 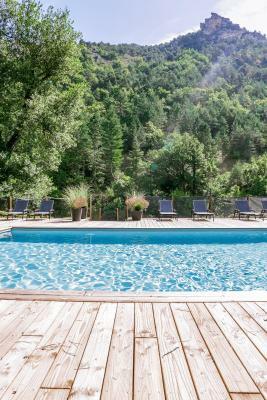 The hotel is next to the river and you can enjoy the view whilst swimming in the heated pool. We enjoyed the breakfast and dinner on the Terrasse. 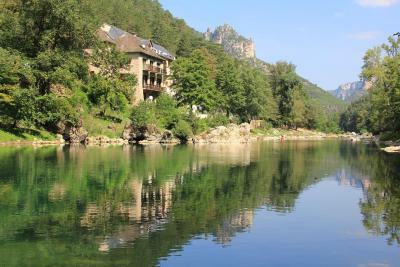 The location is great for hiking and kayaking in the Gorges du Tarn. The dinner was delicious, though with very few choice/options. View from the rooms to the river is great. 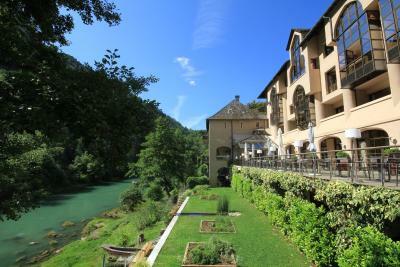 The hotel is in an exquisite part of the Gorge - it is tranquil and absolutely peaceful and beautiful! 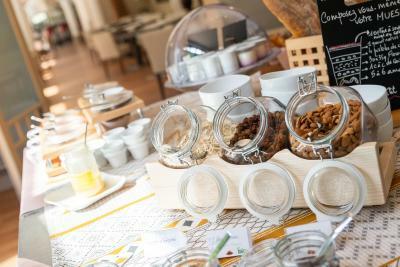 The staff were absolutely first rate - they looked after us throughout our stay, particularly when we arrived, both very ill with food poisoning! Nothing was too much trouble. Our dinner, twice in the restaurant (once we were feeling better!) was a lovely experience, beautiful food and wine and great service. We cannot fault this hotel and just regret that we couldn't have stayed longer!! Absolutely peace, tranquillity, comfort and superb service! There is no doubting the location next to the river is fantastic and the food in the restaurant although fairly pricey, was also fantastic. But the hotel is clearly trading on those two, as the rest is over priced for what is delivered. We loved this hotel. It’s location alongside the river was stunning. Staff were great and we loved the restaurant and breakfast. 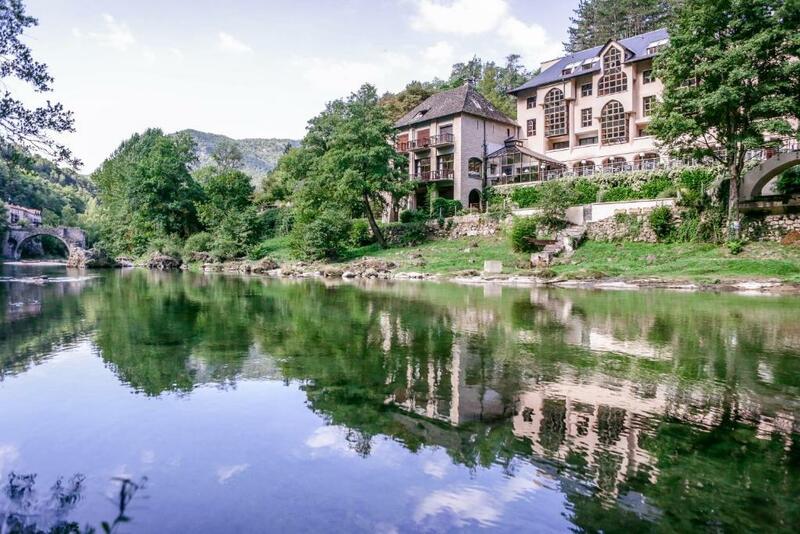 Fabulous hotel in a idyllic location on the banks of the River Tarn. The room was spacious and the bed super comfortable. It would have benefitted from from fly screens, however. Breakfast was sensational. 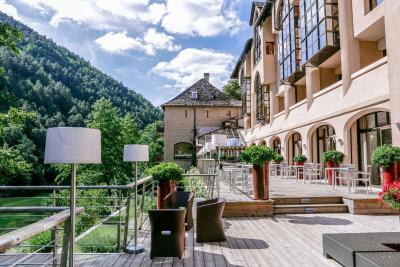 Hôtel de la Muse et du Rozier is located in the heart of the Gorges du Tarn. 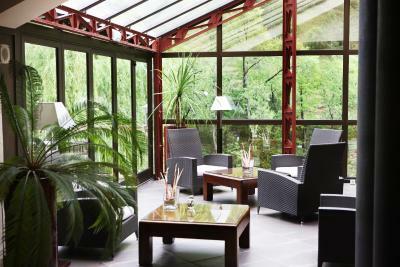 It is the ideal place for relaxing holidays in the heart of nature. Beauty treatments can be enjoyed at the on-site beauty room, with an additional cost. 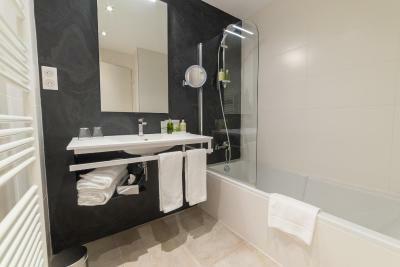 Hôtel de la Muse et du Rozier offers 36 rooms and suites on its 4 floors, with elevator access. Each room allows delightful sightseeing on the river Tarn and is equipped with satellite tv, telephone, bathroom and hairdryers. If you're one for the beach, there's no need to go any further. 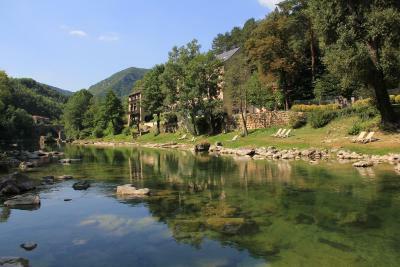 The hotel has its own private beach and direct access to a safe spot of the river. When river water feels a bit too cold, it is time to try the heated pool, a few feet away. Cozy deck chairs will help the tanning process. 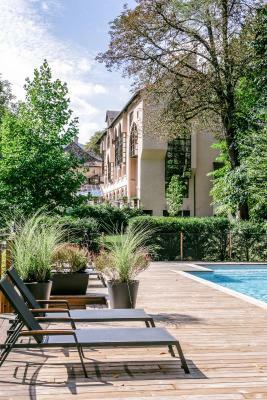 When would you like to stay at Hôtel de la Muse et du Rozier? These spacious rooms offer a queen-size bed and a view on the river. 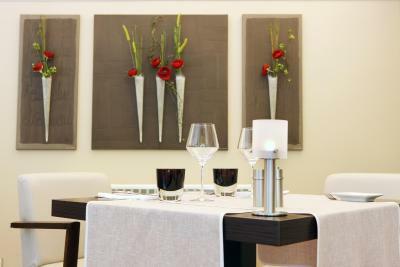 They feature parquet flooring and stylish wooden furnishings. 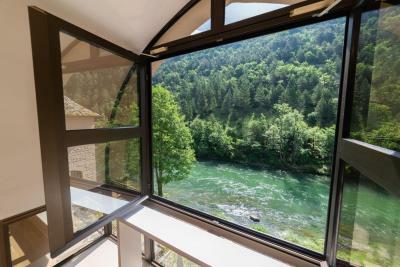 These spacious suites offer a seating area and big windows with a panoramic view on the river. This suite offers 2 communicating rooms, a seating area and views over the garden and the swimming pool. House Rules Hôtel de la Muse et du Rozier takes special requests – add in the next step! Hôtel de la Muse et du Rozier accepts these cards and reserves the right to temporarily hold an amount prior to arrival. It could not be improved in any way!! The room was supposed to have views out to the river which we paid extra for. Turned out a huge concrete arc, part of the hotel structure, ran across the window, so to see the river you had to stand, pointless having the two chairs at the window. No air con, which is very poor for an hotel claiming 4 stars and charging £150 a night room only. Although, the restaurant food was really good, the waiter was so up himself, it was like he had a bad smell under his nose. He brought the wrong dessert, tried telling him but he just walked away, so funny when he had to come back and take it to another table, didn't look at us when removing the dishes. The only downer was the fact that the restaurant was closed (it was a Monday night). Decor on the 3rd floor hallway and in our Junior Suite was very dated and in need of an update. 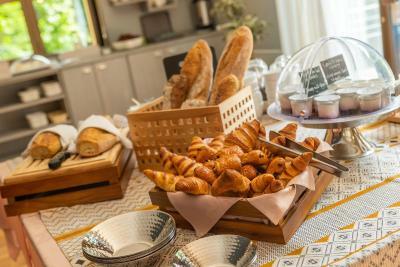 Breakfast at €16 per person is fine if you want to indulge in all that’s on offer but ridiculous if all you want is a coffee and a croissant. Great location on the Tarn. Beautiful view across the river. Sun beds on the river bank. The hotel is in a perfect location to discover this gorgeous area. We ate at the restaurant two days in a row and the food and service were excellent. We arrived early afternoon, and we were told that the restaurant was fully booked, we would have expected at least an email to ask if we wanted to book, they recommended a really poor cafe in the town, having been presented with a really crap plastic menu, we decided not to go, we then found a two star hotel in the middle of town, where we had an amazing meal, its called, Doussiere, well worth it!....We did eat in the second night, the food was good, but the service wasn't what was expected of a 4 star hotel....They also over charged us, as they take the money beforehand, they didn't say anything to us, I happened to notice it on my credit card!, when questioned they didn't really have an answer and just gave us cash back of over fifty euros, so watch out! The hotel was ideally located on the river, and it was clean and tidy. 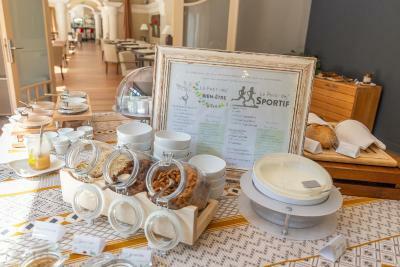 Superb breakfast and even better evening meal in very pleasant surroundings. Small car parks, roadside parking and a garage (extra charge) but still not quite enough parking overall. A cool welcome (to be fair we were not at our best, flustered at not finding parking space and worried how we would manage with luggage). But eventually space was found for us and a young lady helped with cases (n.b. there are about six steps down from reception to the lift). Breakfast supposedly till 10.30 but arriving at 9.45 you find all the cold meats, cheese, sliced tomatoes, fromage frais and cherries gone already and not replenished, and don't linger for a second coffee or roll because at 10.30 the doors to the buffet are closed and everything is cleared, regardless of some people still breakfasting. And back to the parking issue; it makes you nervous about being back late from sightseeing, in case you can't park. Pretty gardens right by the river. Nice warm pool. Superb haute-cuisine restaurant but menu is limited and doesn't change at all so after two nights we had had everything we wanted so for the sake of variety had to go out to eat (to the roadside burger restaurant a short walk away, good hearty food but not what we would have wished). Why oh why can't they vary the menu?